Of the many things we save for last – doing the laundry, getting milk on the way home, packing a toothbrush – COASST’s human/dog and vehicle data is the same: last, but important. Wide or narrow beaches, human/dog and vehicle counts are saved for last. Why? In some areas, human presence truly crowds the beaches – anyone who has visited the Oregon coast in July knows just how crazy it can get. In order not to double count, humans, dogs and vehicles are counted only on the return leg from the turnaround point back to the start. —> Helpful hints: count humans, dogs and vehicles as you pass, use a tally system for large numbers. In COASST, definitions count! There’s a definition of what counts as a “bird” and what counts as the “beach.” Not surprisingly, humans, dogs and vehicles have definitions too, to make sure we’re all counting the same things in the same way. People in vehicles? – no, didn’t your mom tell you not to look in peoples’ windows? COASSTers Amy, Gary, and Lauren don’t count their dog Enzo or his tracks since his part of their team. 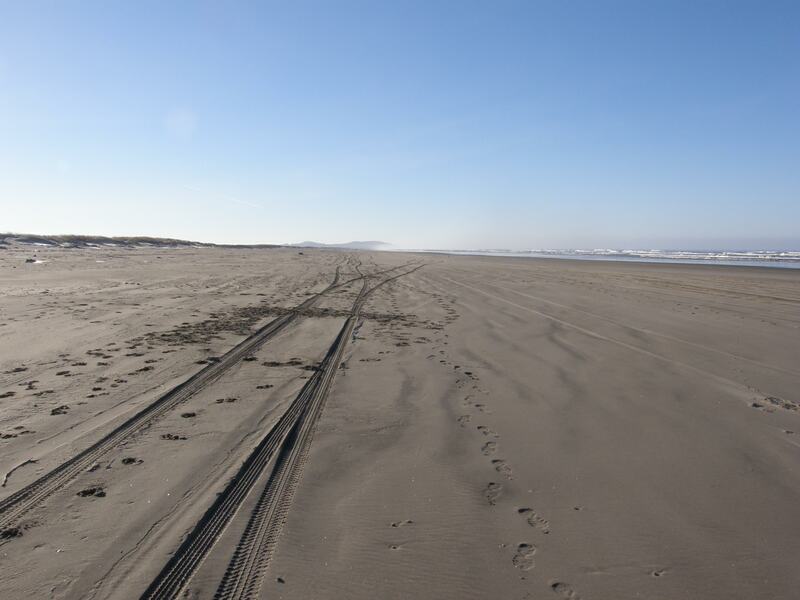 Tracks = yes for cars/trucks, humans, and dogs on this beach. Cars/Trucks: fuel-powered engine, 4 wheels, total weight approx. 1,815kgs (5,000lbs), on beach (not in parking lot, for instance). Bikes? – no, pedal power! Three horses (note: human riders aren’t counted in the human data) at Long Beach North. Since its inception COASST has documented 241,542 humans, 43,389 dogs, and 21,797 vehicles: one of the richest sources of local-to-regional estimates of beach use in all seasons. COASST data tell us about beach use that day (tracks=y) and how many people are out (human/dog/vehicle count) during the survey. They also let us evaluate how the carcass deposition index may change as a function of human visitation. This entry was posted in Uncategorized and tagged Survey on 23. October 2013 by coasst. 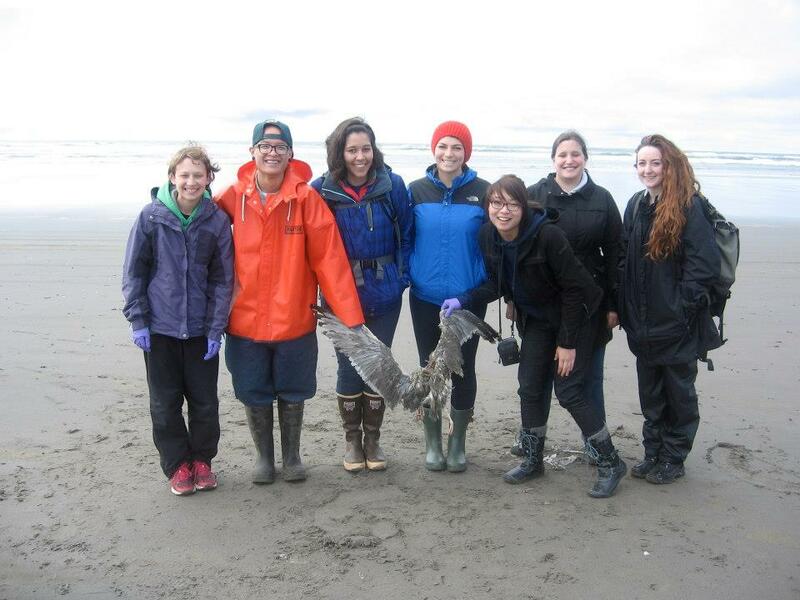 On October 5th and 6th, the COASST interns and the University of Washington’s marine biology class drove to Ocean Shores, WA for a day of beached bird surveys. The interns and students learned the COASST survey protocol and got lots of practice identifying and tagging beached birds. The bird identification started off slow but the teams were quick to pick up the new skills as the day went on. 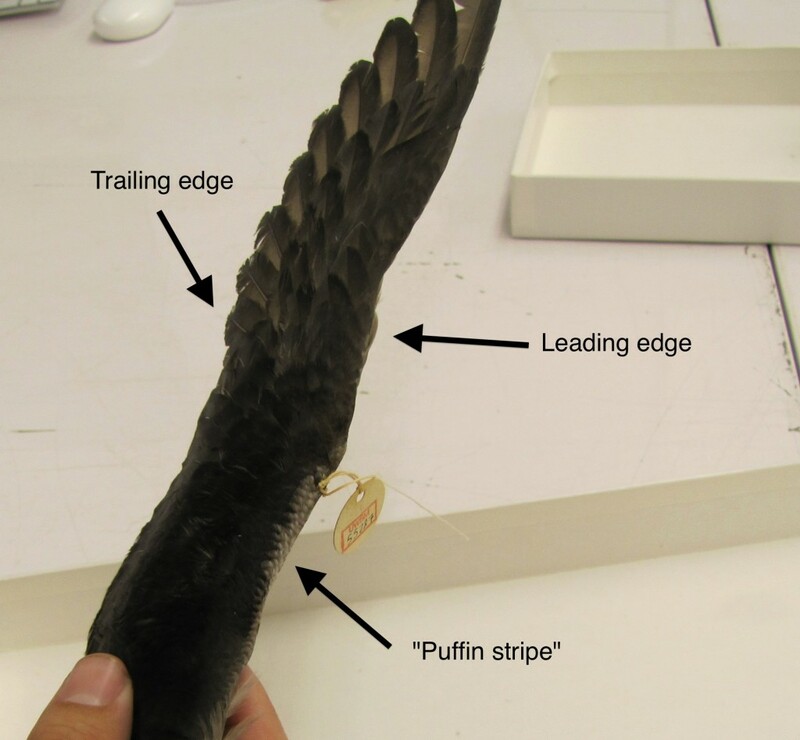 By the end, they were identifying, recording data, and tagging birds with ease. 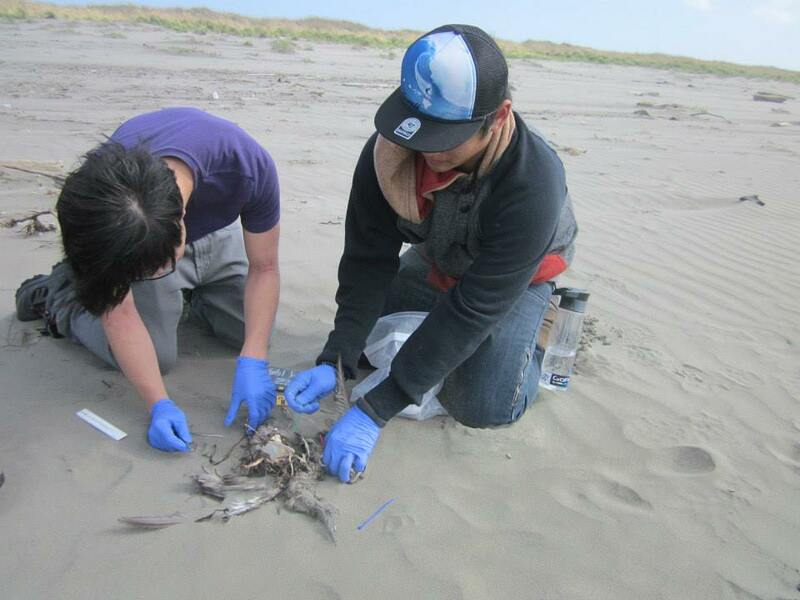 Marine biology students identifying and tagging a beached bird. Eleven beaches were surveyed over the two days. Common Murres were by far the most abundant bird found. 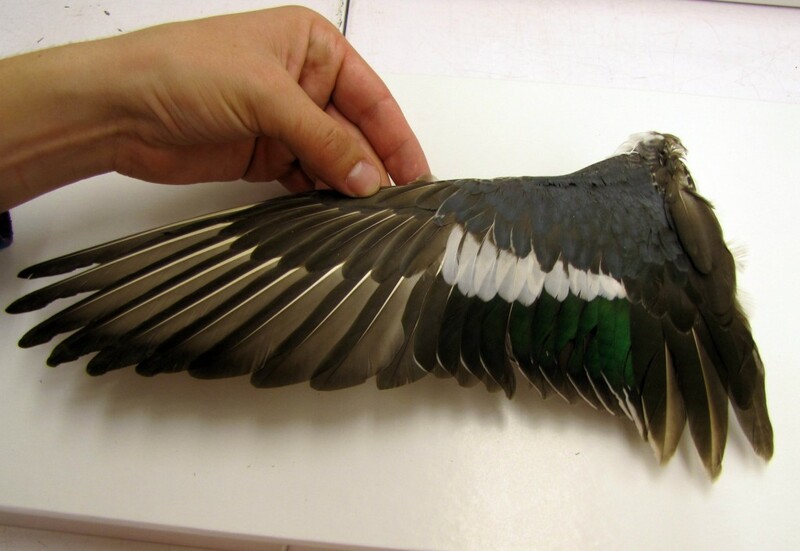 They were seen in breeding, non-breeding, and molting plumages which added an extra challenge for these new surveyors. Other commonly found birds included, Sooty Shearwaters and large immature gulls. The teams also came across some rare finds. At South Chance, a beached yellow shafted Northern Flicker was spotted. It can be identified by the vibrant yellows found in the wings. Another team happened upon a skate egg casing, with small embryos inside. Not a bird, but a very cool thing to find! Overall it was a great weekend. The weather was beautiful, with no rain, making it an enjoyable learning experience for all. This entry was posted in Uncategorized and tagged Alcids, Field Trip, Larids, Perching Birds, Survey, Tubenoses, Washington on 14. October 2013 by coasst. How’s this for rare? 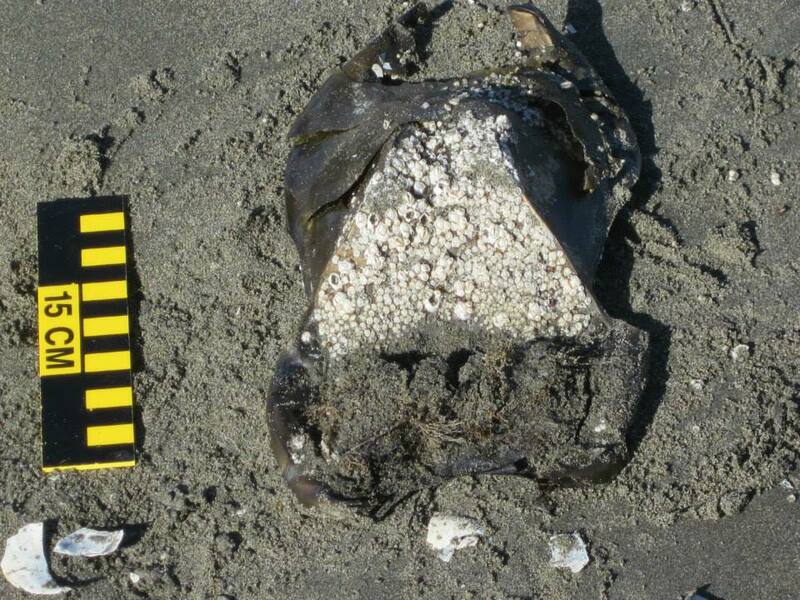 A new-to-COASST foot-type family, found on a North Coast beach! Sue Keilman and Scott Horton found this Virginia Rail on their Third Beach survey. 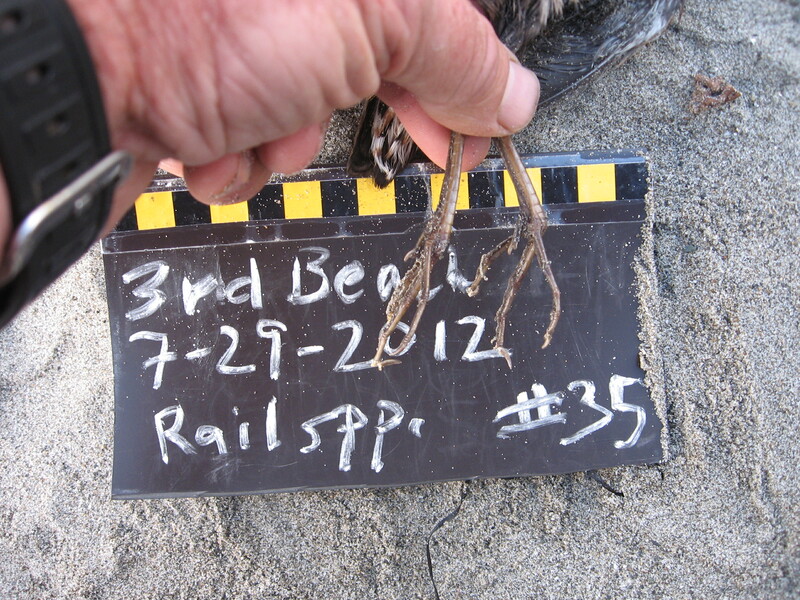 In the Beached Birds field guide, rails are most closely related to the American Coot. As seen in the guide, coots have lobed toes that recall those of the grebes. This rail, however, has four free toes, three of which are very long and spindly. As you can see in the photos, the longest toe is virtually the same length as the tarsus! As usual, foot type betrays function: rails are perfectly suited for walking on soft, marshy substrate and floating vegetation. What surprise will COASSTers find next? The first Virginia Rail found on a COASST survey. Note the three long toes and one short toe. This entry was posted in Uncategorized and tagged Foot-type Family, Land Birds, North Coast, Perching Birds, Survey on 6. June 2013 by coasst. With springtime upon us, and summer quickly approaching, a COASSTer may, on occasion, encounter the elusive sun! As we enter this wonderful time, it is a good idea that we fine-tune our surveying skills. So here is your ultimate guide to surveying in the sun! 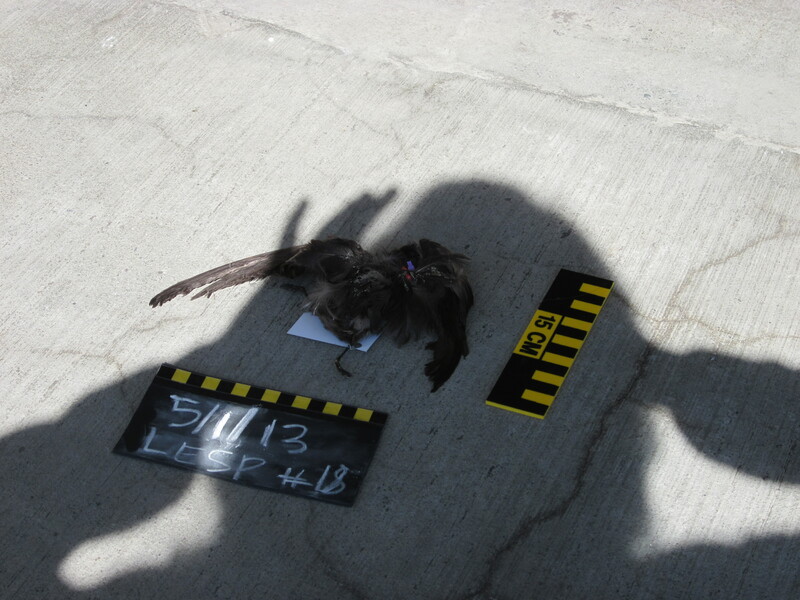 1 – Avoid pesky shadows that may hinder species verification. 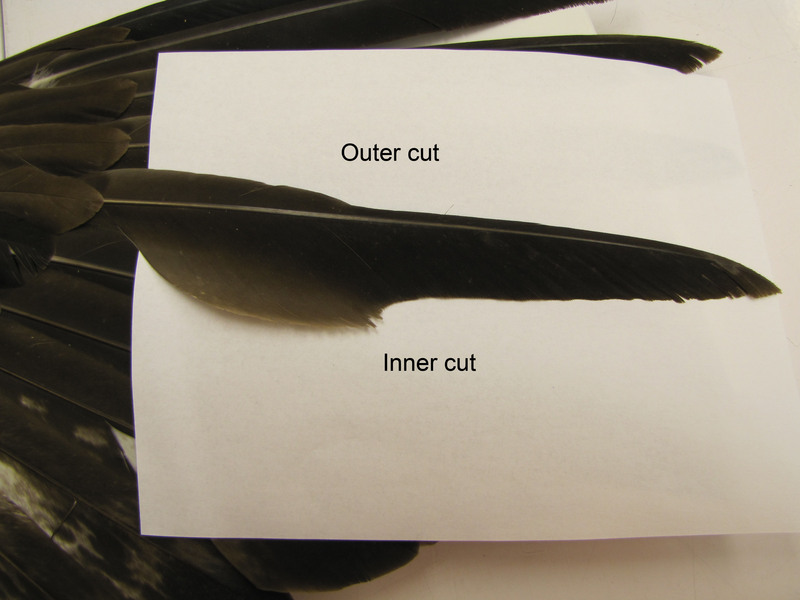 Shadows, especially in full sunlight, can either make parts of the bird much darker (left photo) OR washed out (right photo). This can lead to a loss of detail and make it challenging to verify the species, and the chalkboard may be difficult to read. When taking pictures in the sun, it is easy to overlook shadows from grasses, logs, rocks, sign posts, etc. Be sure to double check for these shadows. It is also very easy to ignore human-made shadows by either the photographer or the assistant. If shadows are taking over your photo, simply rotate and move the bird. 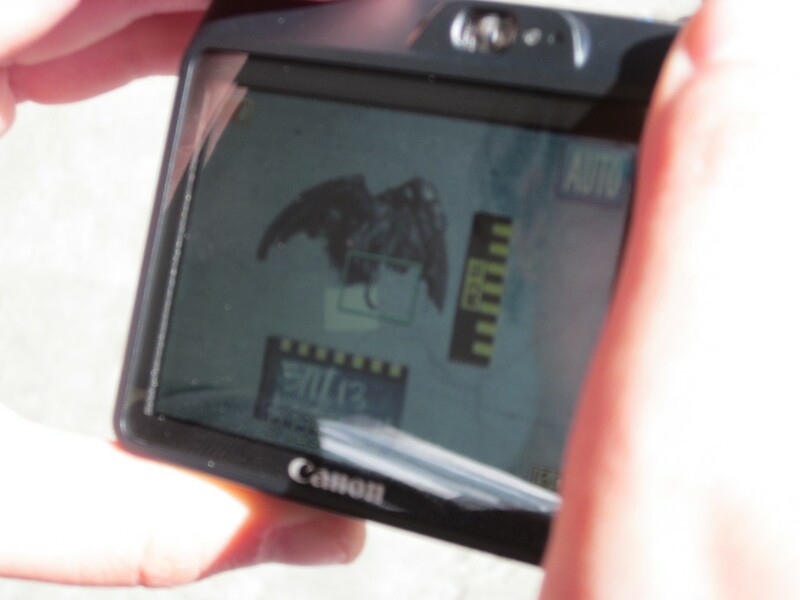 A simple way to get the correct exposure is to set the camera to the full-auto mode (green box setting). Then, just focus the green box on the bird, and take the picture. SNAP! You have a shadow free picture. 2 – Be prepared! Planning ahead will prepare you for almost anything during this somewhat unpredictable season, and ensure your surveys go as smoothly as possible. 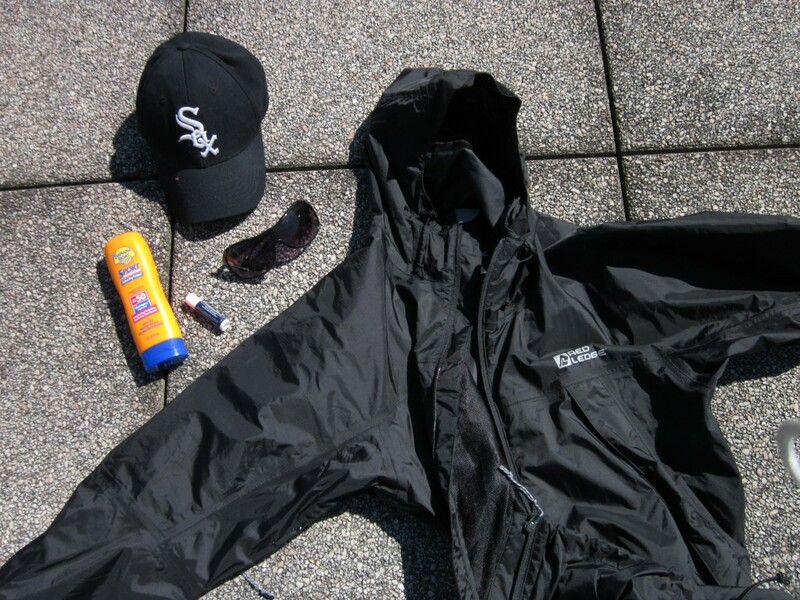 Proper protection from the sun can make the difference between a a nice walk on the beach and a surprisingly painful reminder that it is no longer winter. 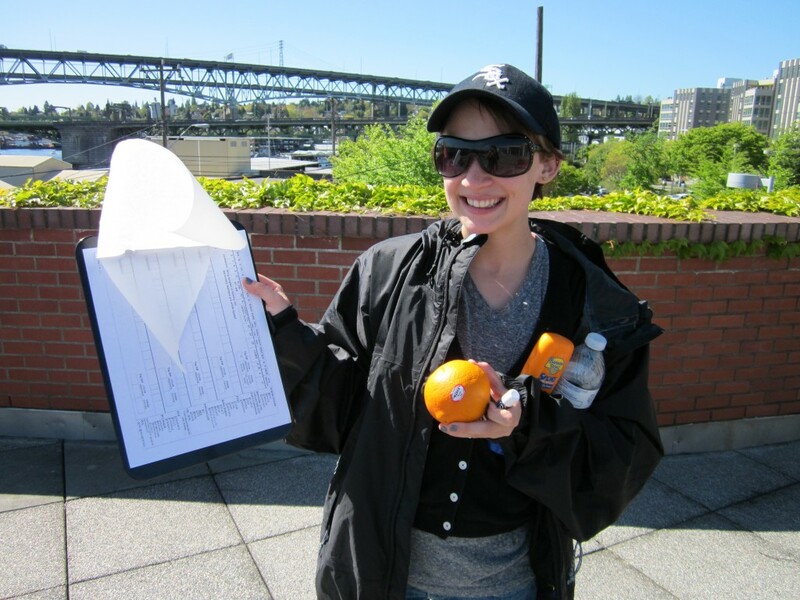 Sunscreen, lip balm, and sunglasses, are essential when preparing for a sunny survey. Bringing lightweight (preferably waterproof) layers will also help you transition from sun to rain if the occasional surprise drizzle occurs. 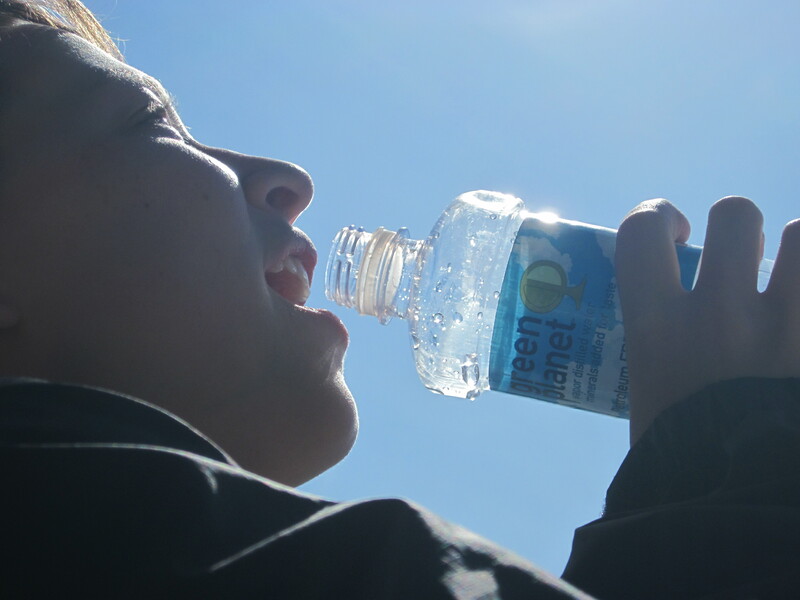 Being in the sun for an hour or two can quickly zap your energy and dehydrate you, so be sure to bring various treats with you and plenty of water. HYDRATE! A few sheets of parchment paper are a great last minute alternative to waterproof paper during unexpected showers. Just record your data on the parchment paper with pencil and transfer the information onto a data sheet when you get to a dry location. 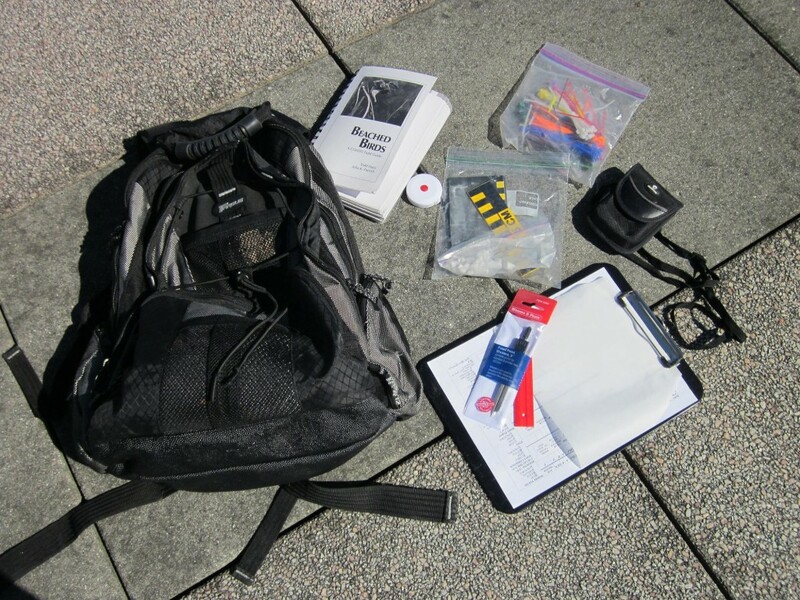 Lastly, bringing a backpack will make the process much easier, especially when you need to discard a few layers when the sun comes out! Yay! This entry was posted in Uncategorized and tagged Survey on 14. May 2013 by coasst. 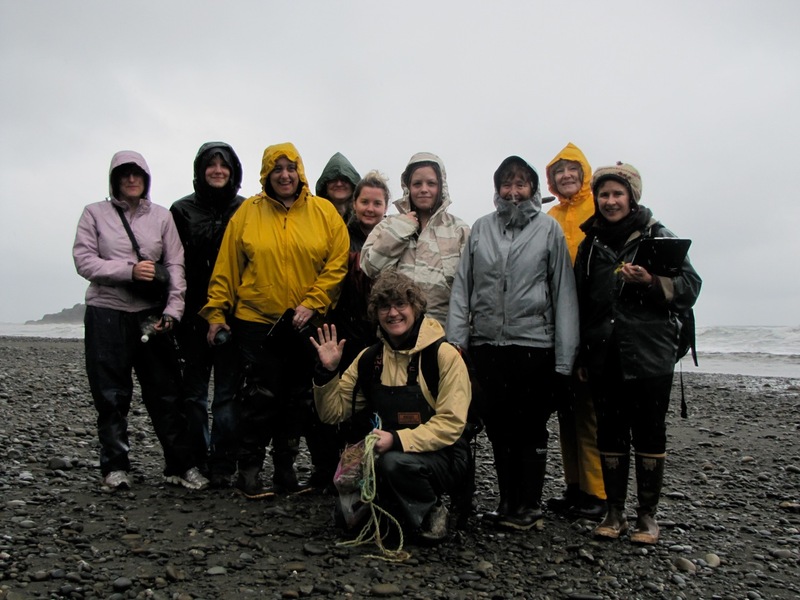 Amazing trip out to the COASST with Barbara Blackie’s “Topics in Marine Ecology” class at Western Washington University. Barbara, a former COASST Volunteer Coordinator, uses COASST surveys as a learning opportunity for numerous college students. 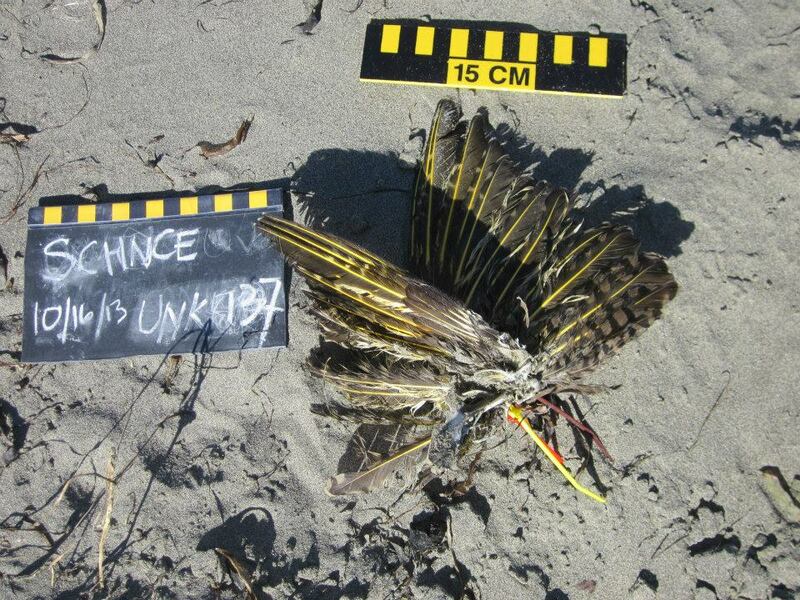 As all COASSTers know, you can’t head out to the beach without looking for (dead) birds! COASST finds made up for the less-than-ideal weather – a couple of Black-footed Albatross, a Rhinoceros Auklet (complete with white leading edge), and a Sabine’s Gull (distinctive white upperwing triangle). Bill (BFAL), wing (PHAU), wing (SAGU) from the WWU field trip weekend. Occasionally, new recruits ask whether “Wrack: Thick >1M wide” refers to wrack height or spread across the sand. 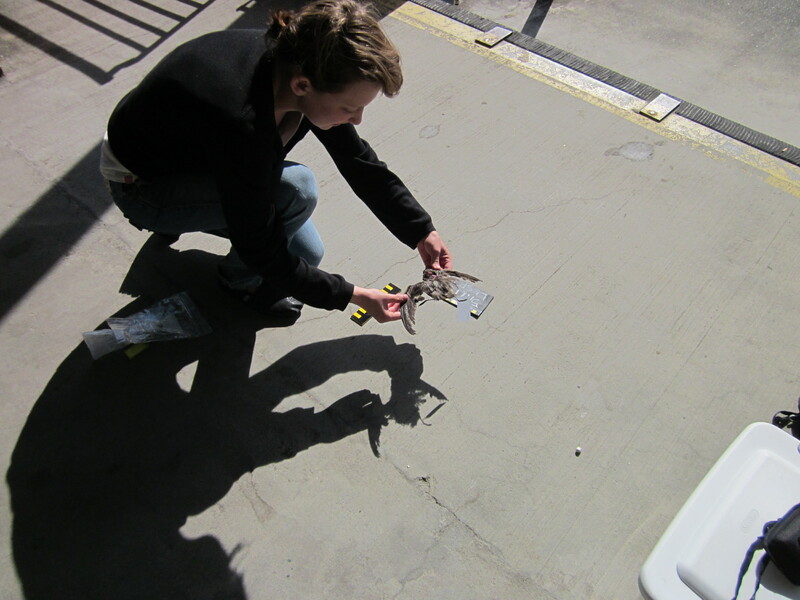 At Sooes, we actually found wrack almost one meter tall – incredible. Students from Barbara’s class show just how much wrack can accumulate. 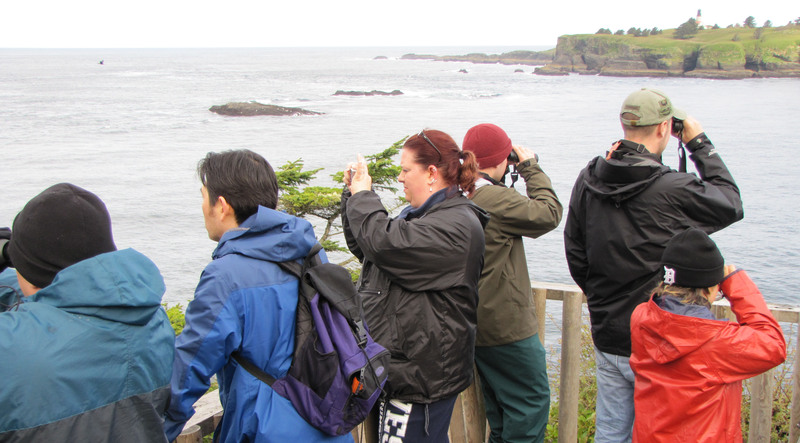 We followed up COASST surveys with a walk on the Cape Flattery trail, with some stunning views of Gray Whales, Tufted Puffins, and migrating geese. After all that, how could you not want to become a marine biologist? View from the Cape Flattery Trail, with Tatoosh Island in the background. This entry was posted in Uncategorized and tagged Alcids, Field Trip, Larids, North Coast, Student, Survey, Tubenoses, Washington on 3. May 2013 by coasst. On April 20th, the COASST interns went on our quarterly field trip. 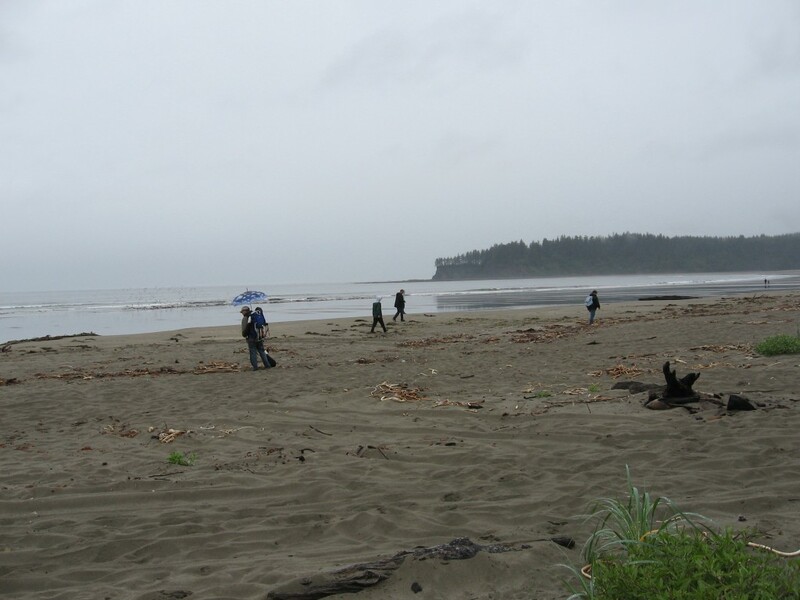 This spring, we went to the south coast of Washington and surveyed South Leadbetter A and Oysterville Beach, both north of Long Beach, WA. The eight of us set out from the University of Washington at 7am sharp, reaching Long Beach at around 11 am. Once there, we met up with a local COASST volunteer and split into two groups. 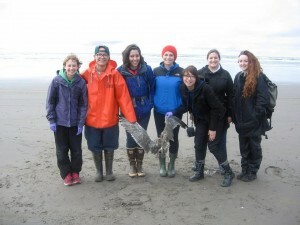 One group went with Liz on South Leadbetter A, and the other with COASST Senior Intern Stephanie, on Oysterville Beach. 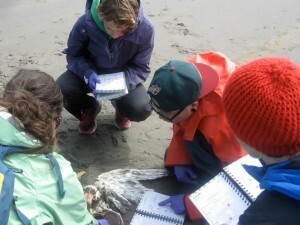 These field trips allow us to get hands-on experience surveying beaches and identifying beached birds. We found two birds to practice our ID skills on–a set of Red Phalarope wings and a Herring Gull, both on South Leadbetter A. The weather was surprisingly nice that day; the rain stayed away, and the sun even made an appearance. 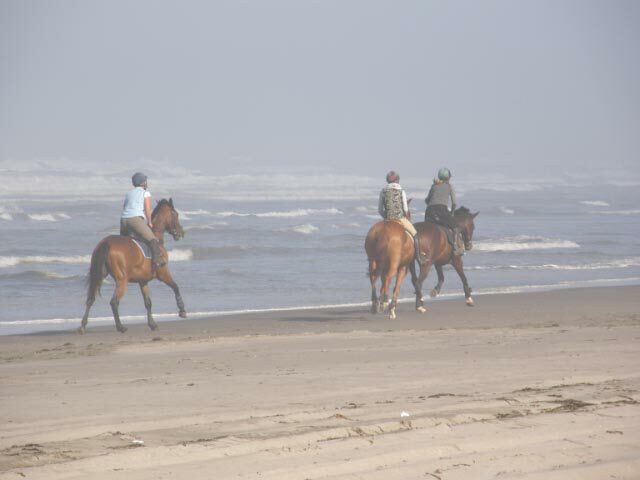 There were some people out flying kites and taking walks on the beach, and even a few horseback riders. A great time was had by all. Shannon, Scott, and Elizabeth collaboratively bounce observations off each other as Liz challenges their ability to identify! COASST interns gather after a successful identification. This entry was posted in Uncategorized and tagged Field Trip, Interns, Survey, Washington on 1. May 2013 by coasst. 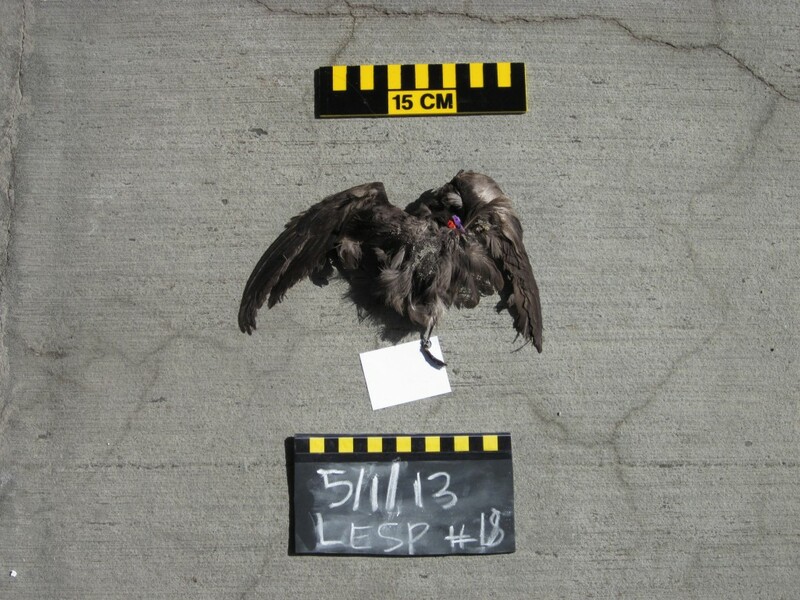 Ever wondered what happens to the birds you tag on COASST surveys? And why do we tag them, anyway? 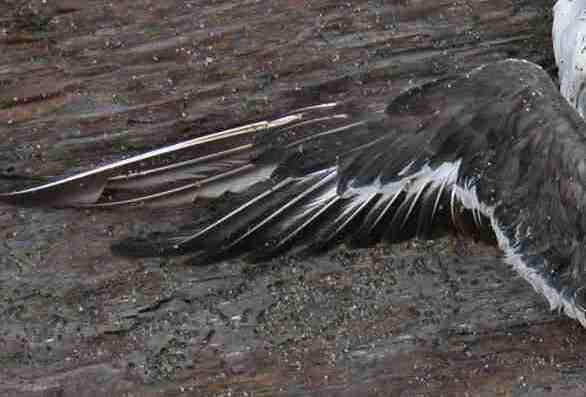 Much of the time, the carcasses are swept away with the next high tide, or are carried away by scavengers. Most times, a bird is never seen again. 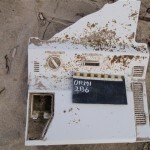 Think of all the others that are deposited once and for all on unsurveyed beaches – we are none the wiser! Other times, we know exactly what happens to a beached bird. We have good evidence that they’re more mobile than you might think. In January, Bonnie Wood and Janet Wheeler at Salt Aire North found a Pacific Loon. 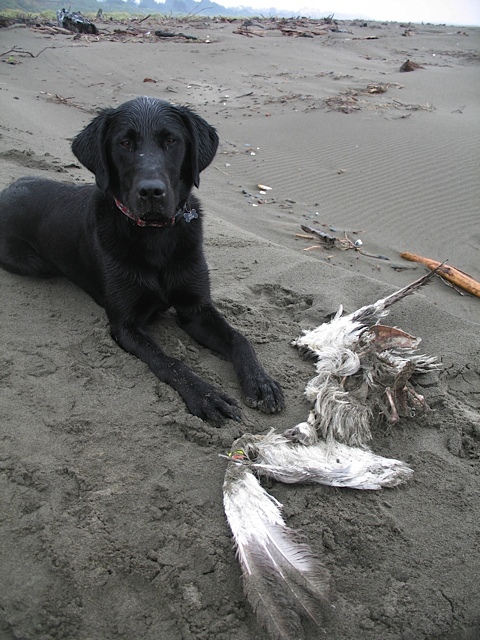 Later that same day, Amy and Jack Douglas happened upon the very same bird on the neighboring beach, Bonge. Is that possible? Turns out, carcasses do move–by dogs, humans, or raptors. Without a unique tag combo, we’d never be able to trace such refinds. 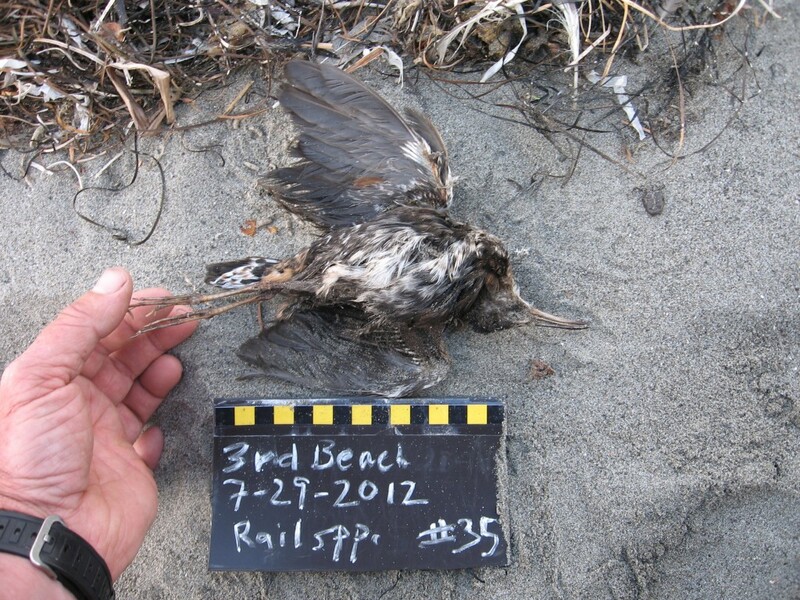 Those dead birds untouched by animals and tides remain right where they are. Certain beaches are well known among COASST staff as “bird keepers.” These are often the most expansive sandy beaches, where a bird may be buried by blowing sand for many months, only to be uncovered and refound months later. The tags, then, are the only way to tell that such birds should not be counted as a “new” find. 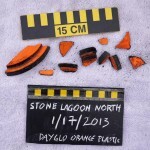 We ask our volunteers to collect data on refinds each time they’re encountered. We don’t require measurements or photos after the original find, but we do ask for a few fields: where found, body parts, species, tie number and color sequence. Some volunteers do choose to take photos each time, and they allow us to make some fun “before-and-after” comparisons. 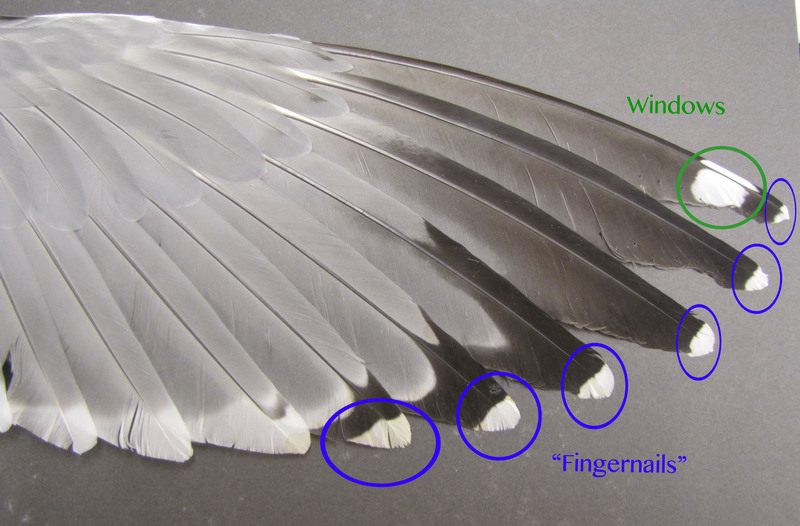 In combination with refind data, this gives us an idea of which parts last– the feet and wings (the basis for the COASST guide). 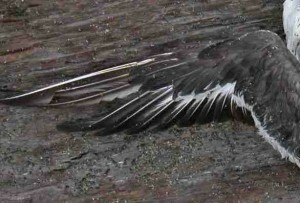 This intact Rhinoceros Auklet was reduced to just a sternum, the tagged wing bones, and a few other bones after 6 months on Agate Beach, in Oregon. This Northern Fulmar was one of 24 found on December 3, 2010. A month later, it was found again, only slightly degraded. Then in September 2012, amazingly, it turned up again a whopping 21 months after its original find date!! A new persistence record for COASST! 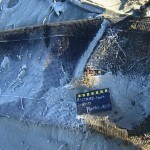 This entry was posted in Uncategorized and tagged Alcids, Oregon, Seabird, Survey, Tubenoses, Volunteer on 25. April 2013 by coasst. 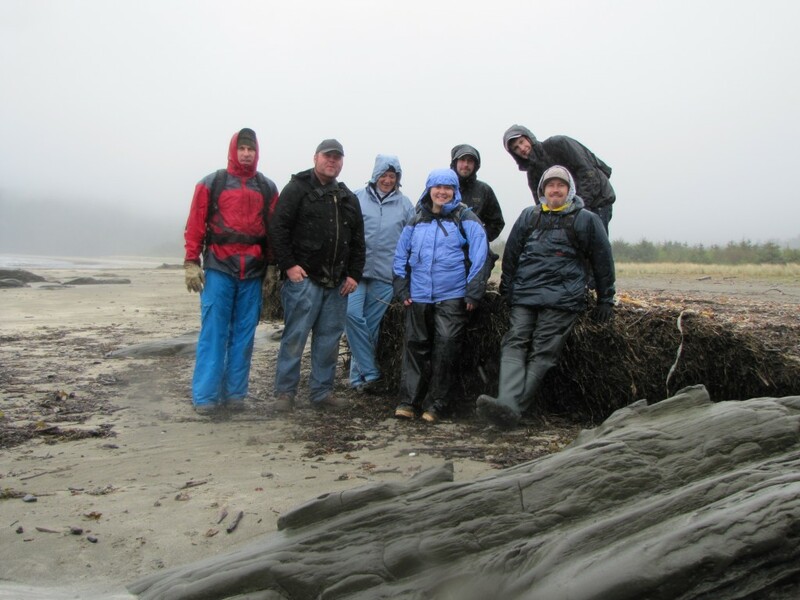 April 26th to 28th COASST Volunteer, Barbara Blackie, is taking out her Western Washington University Marine Ecology class to do COASST surveys on several beaches in the North Coast; Hobuck, Waatch, Shi Shi, Sooes East and West. Jane will be joining in on the fun. If you would like to come along for a refresher let Liz know. It should be a great time! 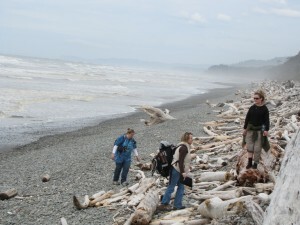 Looking for birds in the drift wood of Kalaloch South. 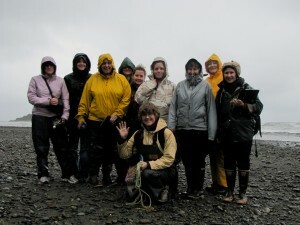 2011 group of Western Washington University students at Ruby Beach, on the north coast of Washington. This entry was posted in Uncategorized and tagged North Coast, Refresher, Survey, Volunteer, Washington on 11. April 2013 by coasst. 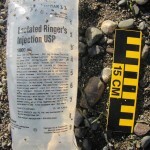 This entry was posted in Uncategorized and tagged Marine Debris, Survey on 5. 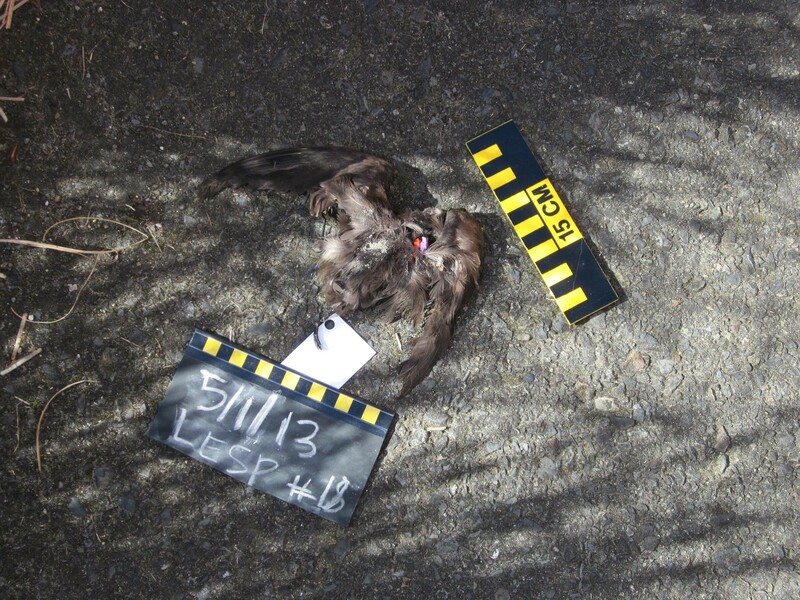 February 2013 by coasst.